How does the retail industry compare to the restaurant industry? Both may be selling fewer high margin items, and giving up more of the profit to third-party platforms. 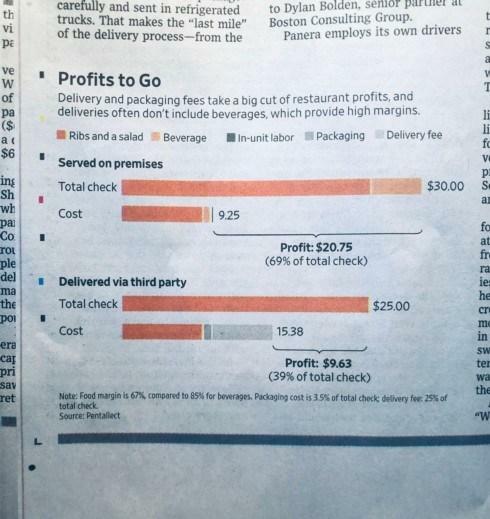 While a restaurant pays a commission to DoorDash, retailers selling on Amazon may pay it 30%. And when a store sells on Amazon it doesn’t get the customer’s email or contact information. It’s like a restaurant being turned into a back-end catering kitchen that never sees the eating guest. That’s not a recipe for success. One may rebut that the restaurant or store is getting ‘extra’ business. Is it? A person living down the street isn’t extra. It’s the customer for which the restaurant anticipated.